Based in California, Oakley combines athletic performance technology and fashion to produce sunglasses, goggles, optical frames, apparel, and accessories. 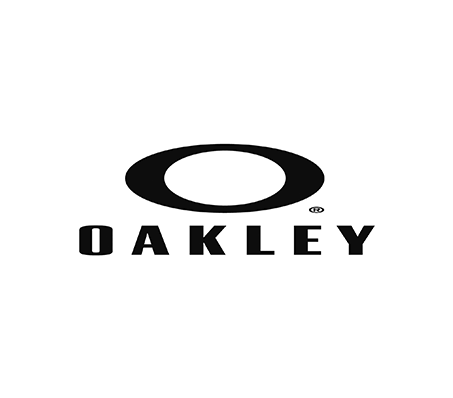 Since the founding of Oakley in 1975, the company has compiled a portfolio of over 575 patents and 1100 trademarks, emphasising its dedication to providing breakthrough innovations for the eyewear industry. Launching Oakley Optics with “Eyeshades”, taking on the optical industry’s big power players. Focusing on sunglasses as vital equipment instead of a generic accessory was groundbreaking. It positioned Oakley as the top in optical sport performance, where it continues to stand today. Professional athletes quickly took notice and today, no matter what sport you watch, from Cricket to Mountain Biking, you’ll see its top athletes sporting Oakley performance eyewear. Decades of collaboration with the top athletes in the world continue to transform Oakley and maintain its position as the industry leader in sport performance eyewear. “Inventions wrapped in art, Oakley was founded on that idea, and it still defines [them]”. To this day Oakley has earned more than 600 patents worldwide and they’re still not done innovating.